What Is the Cross Club? 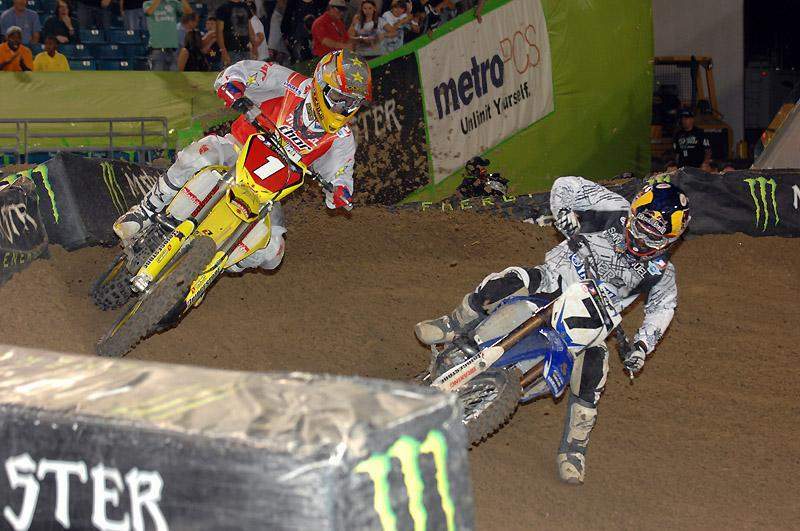 Last week, Monster Energy Supercross announced that July 27 and 28 are the official dates for the 2010 Cross Club On Sale. We asked Feld Motor Sports director of new media Linda Ardehali exactly what that entails, and here’s what we found out. Racer X: What is the Cross Club, Linda? Linda Ardehali: The Cross Club is a free, membership-only email club for Monster Energy Supercross fans. Cross Club members agree to receive one email per month that includes all the latest news in the sport, along with special offers and benefits not available anywhere else. The biggest benefit we offer to members is the opportunity to buy tickets first before the general public. During the special on sale, only Cross Club members get the passwords and links for the 2010 events. Anyone can sign up by going to www.supercrossonline.com/crossclub. However, it’s really only for the true fans, because they’re the ones that want to make sure they get the best seat in the house for the upcoming season. That sounds like a good deal. What are some of the other benefits that you offer to Cross Club members? Well, in the past we’ve given away free Scott goggles, free Ogio bags, free Racer X subscriptions, and other sponsor-related stuff to Cross Club members, just for being members. We’ve invited them to the exclusive Supercross awards banquet, we’ve interviewed them on the Supercross LIVE! audio webcast, and we’ve interviewed them on our video shows on the website. We send out periodic discounts on tickets for the AMA Arenacross Series, Freestyle Motocross, and Rockstar Energy Drink U.S. Open, and we just keep them up to date with what’s going on in our world. So if I went and signed up to become a Cross Club member now, what would happen? Since you’re signing up in July, the first email you’ll receive is the coveted Cross Club On Sale email. Cross Club members will be able to start buying their tickets on the morning of July 27, so they will get the email a couple days before. It’s really as simple as that: sign up and immediately start receiving great benefits. But this means that anyone interested in joining should do it right away to make sure they’re a part of the big event this month.